Each area of the world has a different climate and experiences different weather. For example, weather and climate are different in mountainous regions than in prairies. In the same region, it might be raining in one town but be clear and sunny in the next town over. 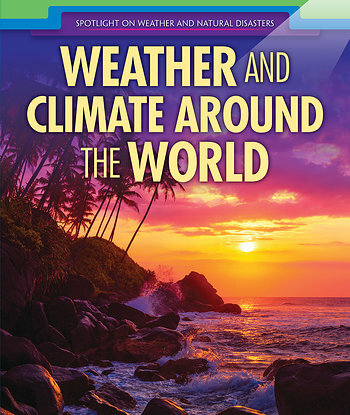 This book explores just how different the weather can be from one place to another. It also exposes how weather affects the lives of people in different regions around the world. Readers will be introduced to essential concepts from the Next Generation Science Standards.